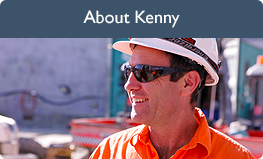 Kenny Constructions Pty. Ltd. are a dynamic, mid-tier quality assured contractor with a proven track record in successfully delivering civil, structural and mine associated concrete packages since 1998. Backed by our strong technical capabilities and practical experience we have expanded year on year to become a multi-state company involved in various sectors across the construction, civil and mining industries.